HM Manufacturing is a manufacturer of custom splines tailored to your specific needs. 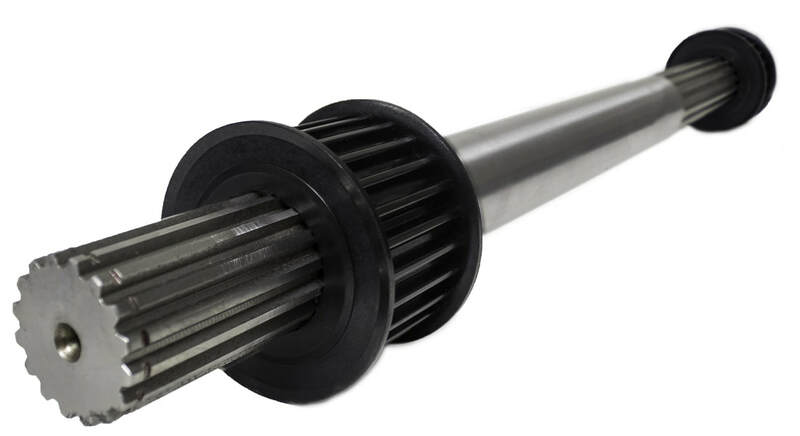 Splines are the ridges or teeth (external spline) on a drive shaft that mesh with an equal number of like ridges or teeth (internal spline) in a mating piece with the purpose of transferring torque and power to the same axis. HM Manufacturing capabilities include the production of splined pulleys and shafts for axles, power transmission, gearboxes and other motion control applications. Splines from HM are manufactured from the highest quality materials, designed and engineered to meet every customer's specifications such as tight tolerances, dynamic shape dimensions, custom amount of teeth and size. ​​HM Manufacturing has extensive knowledge in involute, serration and straight sided splines. Using milling, shaping and broaching techniques, allows for exact configurations of the overall part requirements. ​Involute splines refers to the shape of the tooth that is being formed on the spline and matching shaft. The tooth form is curved on the sides with a flat top. Involute splines can be made as external or internal splines. Due the the involute shape there is more surface contact between spline and shaft, which allows the spline to provide greater torque. Involute splines perform best in heavy duty applications for a variety of industries. Similar to involute splines, serration splines can also be made as external or internal splines. However the shape of the tooth is triangular and the top of the tooth is flat. 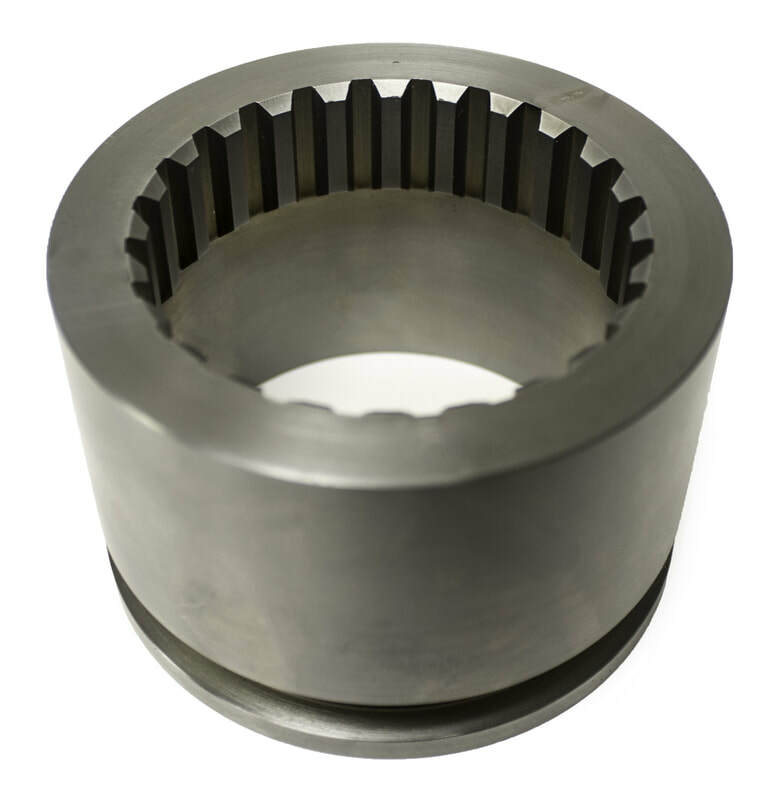 Serrations splines are generally used on smaller diameter drives. Since the teeth are a simple included angle form, more teeth can be used on a small circumference, providing a greater contact area. Some example of serrations splines in use would be instrument drives and valve shafts. Straight sided splines can be made as external and internal splines. The tooth shape is what separates the straight sided spline from the involute and serration splines. In a straight sided spline, the sides of the teeth are parallel to each other, they are not curved or angled and the top of each tooth is flat, similar to a keyway shape. Straight sided splines are used in couplers and are great for the food processing and automotive industries.